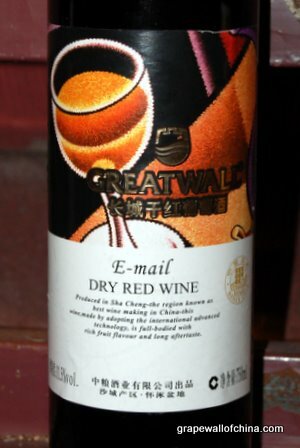 Speaks to an era that might have given us LOL, Hacker and Pwn wine. Hate it? Click delete. Love it. Forward to friends. Pairs with spam. Covering the China wine scene since 2007. Get the free newsletter here. Contact Jim Boyce at grapewallofchina (at) gmail.com.